This lesson is a fragment from the book ” Virtual European Championships part 2″. The main point – combine all your chances. 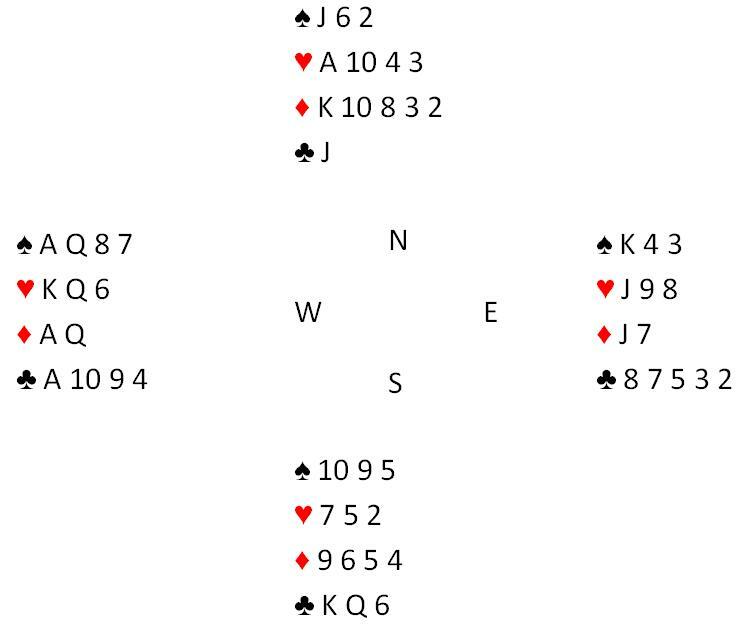 b) if spades are 4-2, you have to find clubs 2-2. Closed room – contract 3 NT, + 600 for EW. You checked the spades: no swing. You played the club suit first: – 200 = -13 IMP.